Hospitality Marketing Concepts (HMC), the world’s leading provider of outsourced CRM-driven database management and loyalty marketing programs for premium hotel organizations, today announced the appointment of Janet Connolly to the position of Regional Vice President and Managing Director of Asia Pacific, effective November 1, 2017. As Regional Vice President and Managing Director, Janet will oversee the operations, strategic direction and partnership development of HMC in Asia Pacific. Continuing the company’s significant growth and momentum in the region for all three of HMC’s core products – Premium Membership Programs, CLUBHOTEL®, and VOILÀ Hotel Rewards® – Janet will focus on enhancing client and member geographical distribution and engagement throughout Asia Pacific. In addition, Janet will employ her deep experience to advance HMC’s e-commerce and partnership opportunities with the goal of expanding alternate distribution and revenue channels for our hotel partners. Under Janet’s leadership, HMC also plans to further expand its geographical presence throughout the region. Janet is based in Shanghai, China and has been with HMC for over 25 years. She has worked with HMC in countries all over the world, holding very senior positions with HMC over the last 15 years and managing teams comprised of hundreds of people covering several countries. Janet moved with HMC to Asia in 1995 and was key to the launch of several new countries including China, Hong Kong, Taiwan, Philippines, Indonesia, Malaysia, Singapore, and Australia & New Zealand. After managing HMC’s Middle East region for several years, Janet returned to Asia in 2013 as HMC’s General Manager Greater China & Vice President of Operations Asia Pacific. In recent years, Janet has led the HMC’s transition into providing completely digital loyalty membership products with the roll-out of HMC’s industry-first loyalty program mobile app. HMC’s mobile app lets members redeem digital e-certificates and completely eliminate outdated paper-based voucher booklets and plastic membership cards. 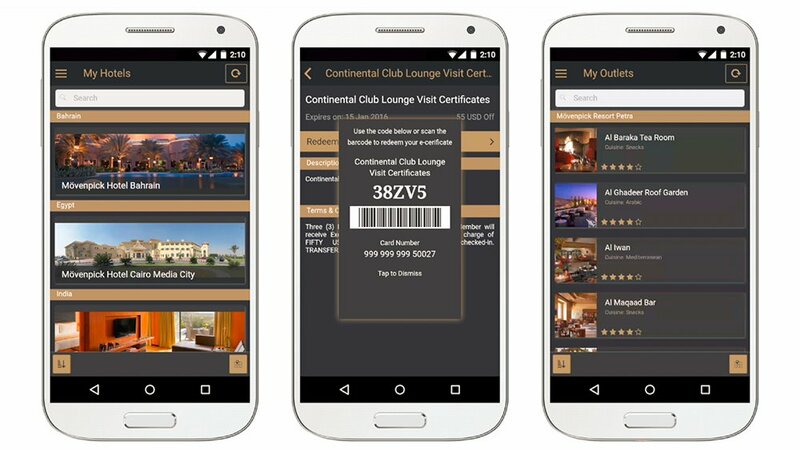 The app delivers timely push-notifications about relevant hotel promotions based on geo-location, preferences and purchasing behavior, and allows guests to make membership purchases, renewals, and mobile hotel and table bookings. The app also streamlines hotel operations by providing detailed tracking with two-way POS/PMS integration, while improving analytics, intelligence, and security controls. Janet is proceeded by Octavio Gamarra, who joined HMC in 2012. As a result of Octavio’s direction over past six years, HMC is now extremely well poised to ensure continued, steadfast success in Asia under Janet’s leadership. Headquartered in Newport Beach, Southern California, HMC (http://HMCloyalty.com), HMC is the world’s leading provider of outsourced database management and loyalty marketing programs for premium hotel organizations. Our core competencies are the creation, implementation, management, and marketing of custom-made programs designed to drive incremental revenue and profits into each partner hotel. HMC provides a turnkey solution to hotel clients, from the initial concept and design to IT deployment, management and ongoing marketing and customer service. HMC serves two high-end clients – premier hotels and the members who subscribe to the hotel loyalty programs. The objective of HMC’s loyalty solutions is to help hotels increase bottom-line profit, through the recruitment and retention of repeat customers and lowering the cost of business via direct e-commerce channels. Member acquisition is primarily through outbound telesales; target members are managers and owners of small- to medium-size business, professionals, and affluent lifestyle individuals. HMC also operates two proprietary global hotel loyalty networks: CLUBHOTEL and VOILÀ Hotel Rewards, further improving our client’s business opportunities through the world. CLUBHOTEL (http://clubhotel.com) boasts the largest variety of brands and independent properties around the world. The program is currently offered at over 720 luxury hotels in 52 countries and in more than 447 cities. Established in 1996, CLUBHOTEL has generated staggering results, representing tens of thousands of incremental room nights for participating hotels each year. VOILÀ (http://voilahotels.com) is the world’s number one loyalty program that unites hundreds of select independent hotels comprising several dozen independent global hotel brands. The program first launched in 2008 and has developed a reputation among travelers who like to stay in original, up-market independent properties for its compelling promotions, ease of use and simple, quick redemption process. A selection of HMC’s clients includes InterContinental Hotels, Hilton Hotels, Radisson Hotels, Mövenpick Hotels, Fairmont Hotels, Starwood Hotels, Ritz-Carlton Hotels, Shangri-La Hotels, Mandarin Oriental Hotels, Husa Hoteles, Tivoli Hotels, Hotéis Deville, Amari Hotels and Swissôtel Hotels. HMC is a global company with offices in more than 50 countries including Italy, France, Germany, Spain, Poland, Portugal, Australia, Singapore, Hong Kong, China, UAE, Egypt, Venezuela, Brazil, Canada, United Kingdom and the United States. More information about HMC may be found at http://HMCloyalty.com.